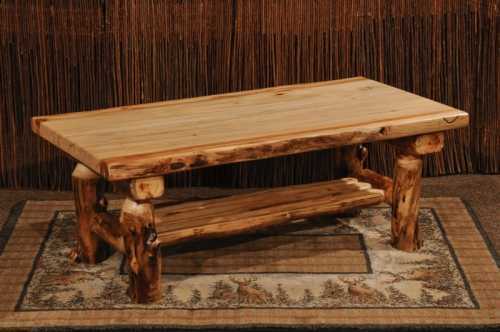 Made in Wisconsin, this gnarly Aspen coffee table is the perfect rustic companion to any living room. Only sustainably harvested standing dead Aspen is used to create the Winding River products. Every log is hand cut from stands of dead Aspen at high elevations. The harsh elements of this environment contribute to the natural beauty of this Aspen furniture. Each expertly crafted Aspen coffee table features high end mortice and tenon joints. Copyright © 2015-2019, Papa Bear's Northwoods Store - All rights reserved.